How am I billed for Compute Instances? How to attach a DDoS protected IP to my instance? How to add rDNS ? 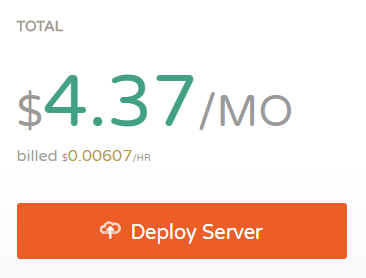 Deploying a Cloud Server on Cloudcone is easy and can be done within a few minutes by following some simple steps. Next click on the Create new button, which is the green colored button with a plus icon in the top right corner and select Create instance from the drop-down. You will be taken to the Create instance page where you can select the resources and the configuration of your server. For this tutorial, I&apos;m going to create a Cloud Server with 2 CPU cores, 2GB of RAM, 20GB Disk and 1 IPv4 address. You can select whatever the values that best fit the needs of your Cloud Server. Next, select an Operating System for your server. Then type in a hostname. It&apos;s recommended to use a unique name which can be used to identify your server. To keep things simple, you can use a domain name which you might be planning to use with the server. It will take a few seconds to complete the creation of your server. When it&apos;s done, you will see the following screen which displays information about your server and allows you to manage it. Note: once your instance starts to boot up, your root password will be emailed to you.